Liam Gallagher has claimed to be the reincarnation of his idol John Lennon. He has also claimed to be visited by Lennon’s spirit. 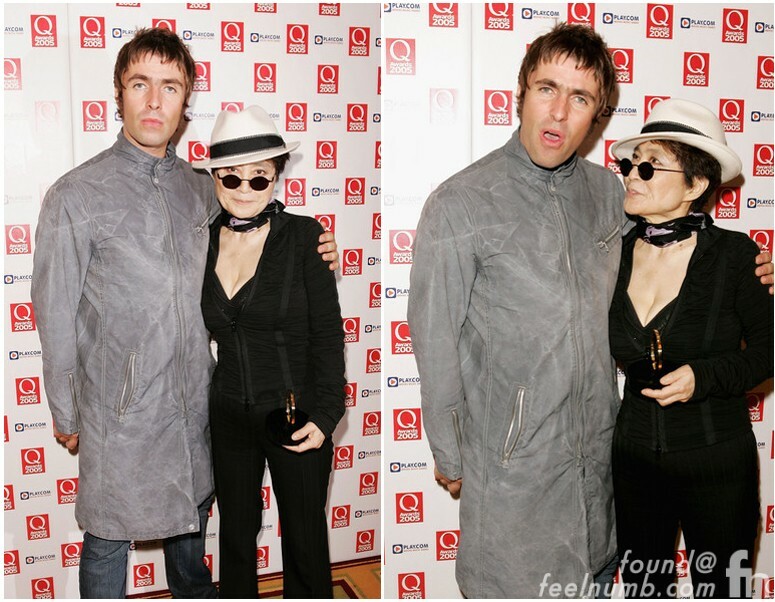 We at feelnumb can’t confirm any of those claims but we can confirm these photos of Liam with Lennon’s wife Yoko Ono taken October 10, 2005 in London, England at the Q Awards. 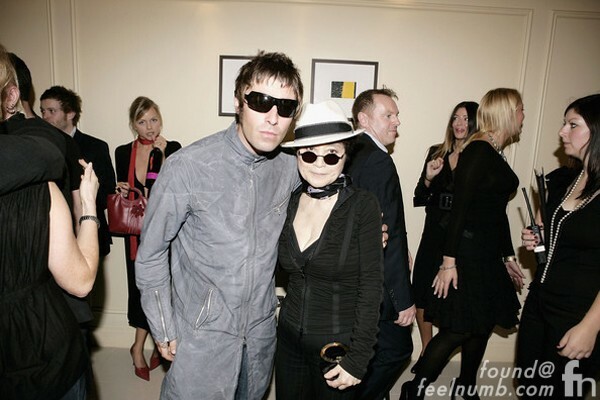 In 2009, Liam, who even named his first son Lennon, got to visit Yoko in his idols famous Dakota Apartment in New York City where he was murdered outside in 1980.